Nothing says fun like bright colors, cute fonts, adorable drawings of kids, and math charts. My kids would beg to differ with me, but I’m just saying that if a spoonful of sugar makes the medicine go down, then this math toolkit will definitely make math time more enjoyable. 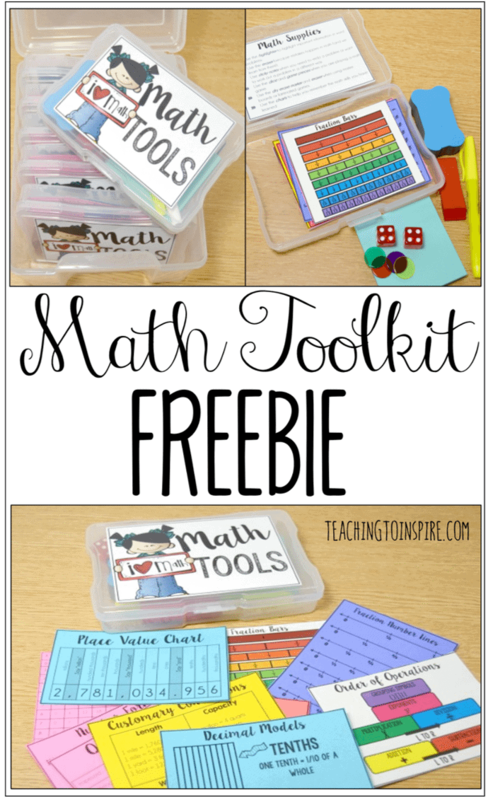 The toolkit is a free printable set of charts that will help with place value, decimals, fractions, and more! If you print it on colored paper, you can pack a punch of color without using a lot of ink. Click here to continue reading over at teachingtoinspire.com and to access your FREE offer!